It didn’t take long to deface The Office of the Presidency, celebrity triviality “trumping” expertise and dignity. 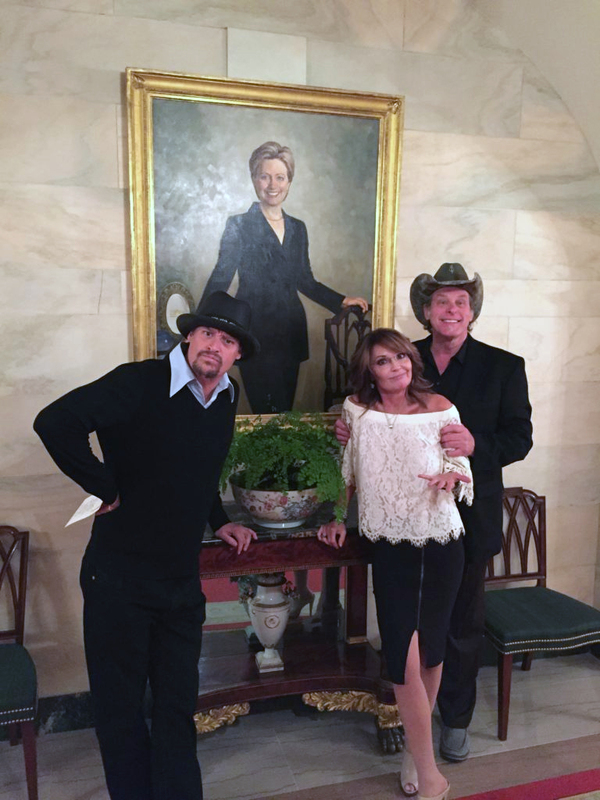 To the victor belong the spoils and it is no more in evidence than the recent White House fête personally hosted by Donald Trump, his guests being Sarah Palin, Ted Nugent and Kid Rock, whoever the latter two are. Supposedly, Sarah invited Ted and Kid because Jesus was busy. 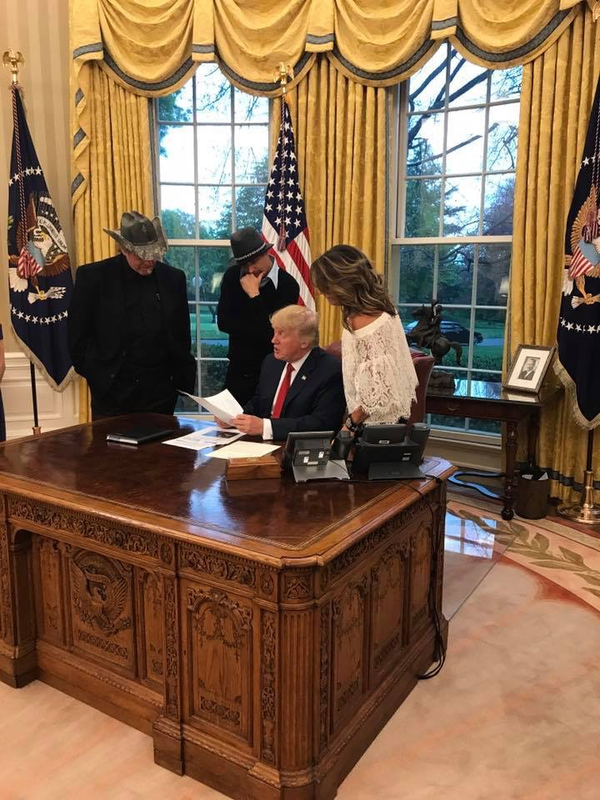 During their four hour run of the White House including a white china dinner they apparently discussed “health, fitness, food, rock ’n’ roll, Chuck Berry and Bo Diddley, secure borders, the history of the United States, guns, bullets, bows and arrows, North Korea, [ and ]Russia.” It is reassuring to know our President is getting such good advice. According to NPR, Mr. Nugent described the visit as follows: "Well well well looky looky here boogie chillin', I got your Shot Heard Round The World right here in big ol greazya— Washington DC where your 1 & only MotorCity Madman Whackmaster StrapAssasin1 dined with President Donald J Trump at the WhiteHouse to Make America Great Again! Got that?" Meanwhile, apropos to this topic, a recent Palm Beach Post cover story revealed the contributions to Donald Trump‘s inaugural committee and not surprisingly, some of the larger contributors are right here in the Palm Beach area, the home of the so-called Southern White House (might as well be the White House given the extent of his time here). The leading donor in this immediate area was billionaire Chris Cline whose private company has more than three billion tons of coal reserves. No wonder he was happy to throw in $1million to the inaugural festivities. Presumably such contributions assures a place in the new swamp. It is truly a plutocracy of self-serving popular culture or corporate elitists.